Rizk Casino is the latest online casino launched and operated by the MT SecureTrade Limited company who also operates the very successful casino brands Guts, InstaCasino and betspin. Rizk is a very interesting casino. Besides offering their fantastic games platform which includes the best games from top-of-the-line games producers like Play’n GO, Nextgen Gaming, NetEnt, Microgaming, Betsoft, NYX Gaming, Quickspin and Evolution Gaming, Rizk Casino has managed to come up with a very cool super hero themed casino with a unique loyalty reward feature called the Wheel of Rizk (find out more below). Rizk is licensed by the Malta Gaming Authority (MGA), UK Gambling Commission and the Government of Curaçao. Spins won on the Wheel of Rizk have no wagering requirements. Players residing in Sweden, Germany, Norway and Finland must wager the bonus amount 45X before cashing out. 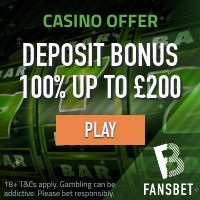 Players residing in the United Kingdom, Canada and the rest of the World excluding mentioned Countries must wager the bonus + deposit 20X before cashing out. There is no cap on winnings or cash outs. Max bet on bonus wager is €5 (or currency equivalent). Click here to read the terms and conditions of the bonus! Players residing in the following countries are not permitted to receive the first deposit bonus and or any deposit bonuses unless otherwise stated: Poland, Bulgaria, Greece, Hungary, Romania, Croatia, Ukraine, India, Pakistan, Indonesia, Russia, Czech Republic, Portugal, Slovakia, Latvia and Thailand. – Super Spins (each spin value is €1)! – Mega Spins (each spin value is €3)! – Jackpots (only available from level 10)! Rizk Casino accepts all of the most common payment methods including credit/debit cards, e-wallets like Neteller and Moneybookers Skrill, Prepaid vouchers like PaysafeCard and several regional bank transfer solutions including Trustly. Deposits and withdrawals are secured in accordance with the Payment Card Industry Data Security Standard (PCI DSS) security protocols. Rizk Casino offer some of the most popular and coolest online casino games available. As mentioned above, the games providers at this casino are among the most successful in the online casino industry; NetEnt, Microgaming, BetSoft, Play’n GO, Nextgen Gaming, NYX Gaming, Quickspin and Evolution Gaming (live games). A few of the most popular online slot machines are Dead or Alive, Jack and the Beanstalk, South Park, Serenity, James Dean, Koi Princess, Eye of the Kraken and Twin Spin.